At Crowe we are very aware of our Corporate Social Responsibility. We are committed to giving back to the community we work and live in. Our staff are proud to support a number of local charities each year. Our staff-run Community Impact Committee coordinates a number of initiatives each year where our staff have the opportunity to volunteer, fundraise or gift resources to help make a difference. Over the last few years we have partnered with a range of charities and below is a snapshot of our staff CSR activities. As part of our 2018 CSR programme, Crowe staff have been working with NCBI to provide their support for people experiencing sight loss in Ireland. In the weeks running up to Christmas, staff have volunteered to record a range of children’s short stories to add to the growing NCBI library. 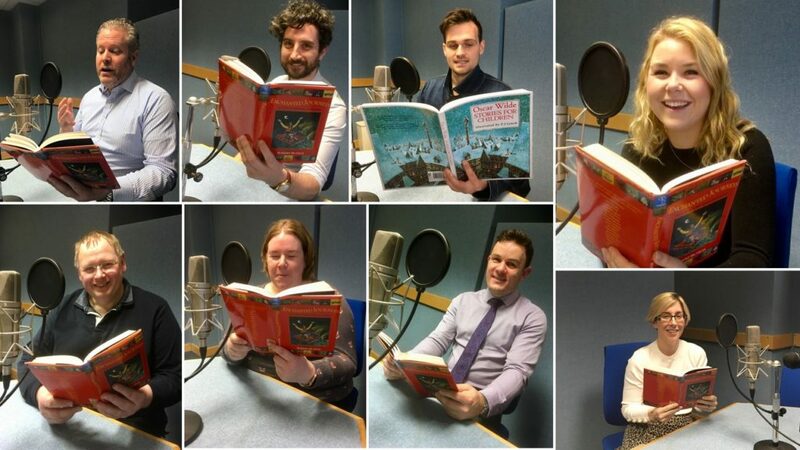 Staff choose to record a collection of short stories by Oscar Wilde and stories from “Enchanted Journeys” an anthology of fifty years of Irish writing for children. Click here to see an interactive case study with samples of the different stories recorded by Crowe employees. We are delighted to support Depaul Ireland as our charity partner for 2018. 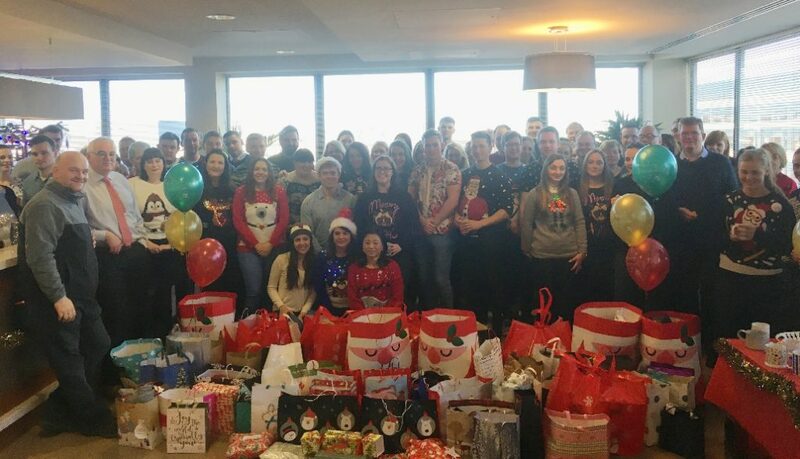 Staff chose to work specifically with the local Depaul hostel at Little Britain Street this year after supporting the hostel through the seasonal “Presents for All” initiative in 2016 and 2017. 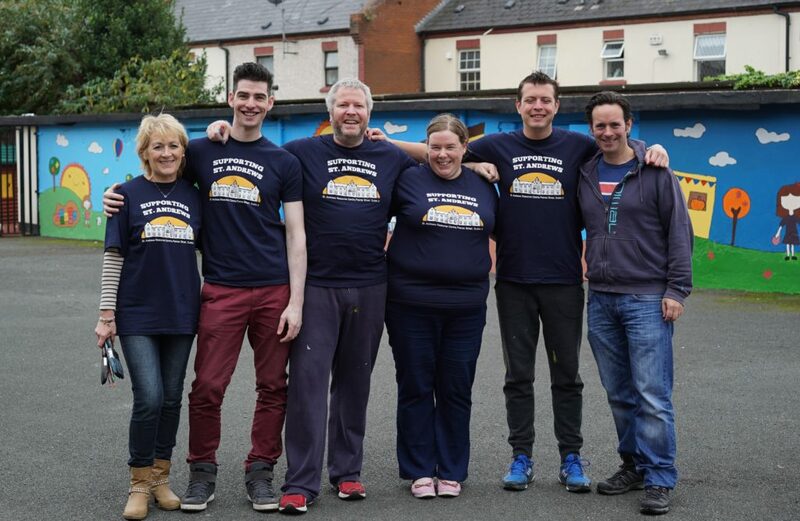 Our staff have a number of different volunteering and fundraising initiatives planned between June and October 2018 to provide the much needed support the Little Britain Street hostel needs. 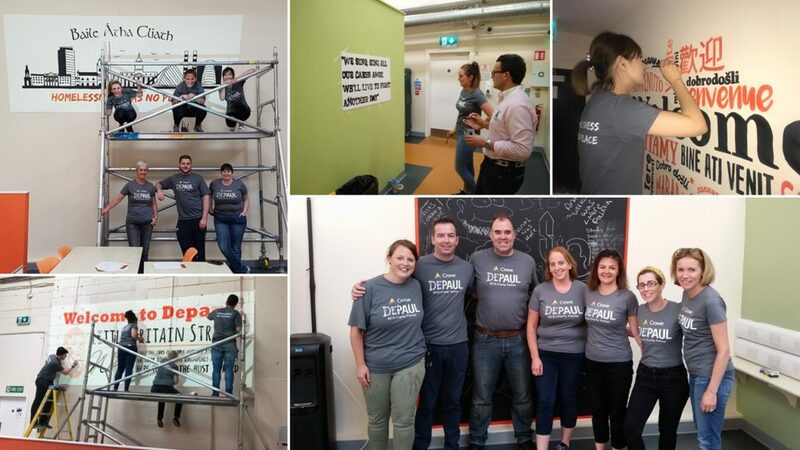 One of the volunteering projects will involve Crowe staff volunteering their personal time over the summer months to design and paint a range of murals and special artworks throughout the Little Britain Street hostel. These artworks will be co-developed with the services users of the hostel to draw from their personal memories and experiences. Read more about the project here. A number of fundraising initiatives have also been planned. Crowe staff recently raised sponsorship money by taking part in the 2018 Woman’s Mini Marathon in June. 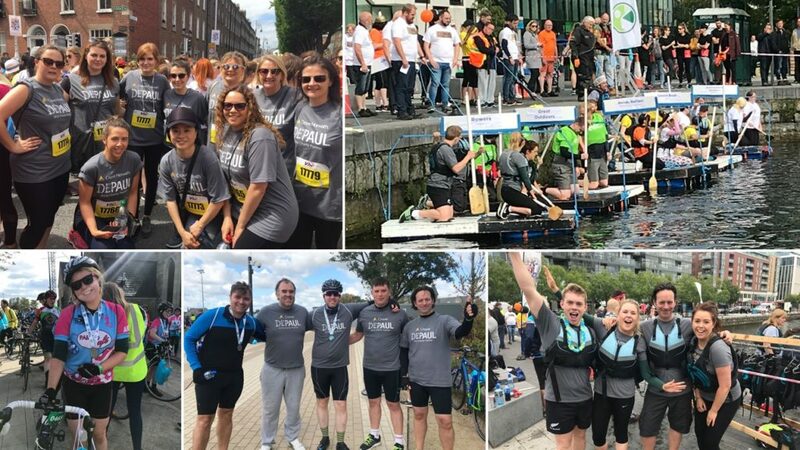 There will also be teams fundraising by participating in the Great Dublin Bike Ride and the Depaul annual Raft Race against Homelessness, taking place this September in Dublin’s Grand Canal Dock. Proud to support St. Andrews Resource Centre, Dublin 2. Our 2017 charity partner was the wonderful local community resource centre St. Andrews on Pearse Street, Dublin2. We raised over €8,000 to help the centre continue its vital work supporting the communities of Westland Row and City Quay. Crowe is delighted to join each year with UCD RFC to help raise funds for the fight against cancer. 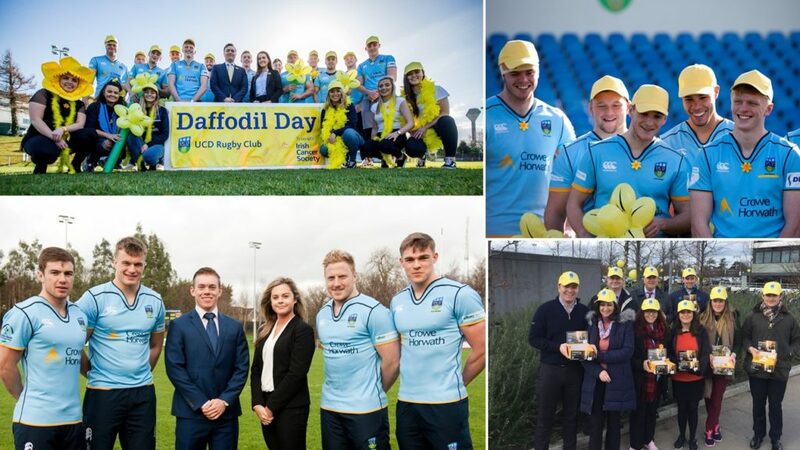 As the official club sponsor of UCD Rugby we enjoy partnering with players and coaches from the club to fundraise on the UCD campus for this vital cause. Have a look at our video celebrating our sixth season as the official club sponsor. Supporting the annual Depaul ‘Presents for All’ Christmas Appeal. Each year our people generously contribute care packages to support the local Depaul shelter for the homeless at Little Britain Street, Dublin 7. The initiative aims to ensure that every man, woman and child who uses Depaul’s homeless services receives a gift at Christmas and it is a very important annual charity initiative for our staff. Other local and national charities our staff has supported include: ActionAid bake sale each Christmas, organised staff blood drives each quarter, Mellon Educate among others.